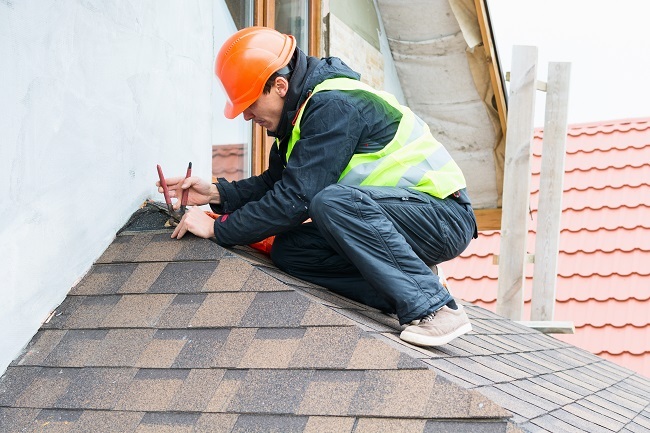 Some roof repairs can easily be handled at home. Even some more advanced repairs or replacements can be handled by a well-trained, all-around handyman. However, there are some thing that needs to be left to professionals. Extensive repairs and full replacements are two of the main categories where it’s always best to contact the professionals. So, what should you be looking for before you decide to tackle a project yourself? Even if you’re not seeing any obvious signs of damage, roofs have a built-in life expectancy depending on the material used, the general climate, the shape of the roof, and other factors. A small sign that a roof is at or near the end of its life span is cracked, chipped, or curling shingles. If over a third of your shingles look to be in bad shape, it’s time for a replacement. While a few missing shingles don’t necessarily mean you should have your entire roof replaced, if they’ve been pulled or even loosened from the roof valleys, they may be letting water in when it rains. If the wood underneath has been damaged, it’s likely to spread quickly and can severely damage the underlying structure of the roof. It’s a good idea to get a professional out to check the damage. Moisture is an obvious concern for nearly every part of a house. Check your attic periodically for signs of water damage, mold, mildew, or rot. If you notice any missing, cracked, or otherwise damaged flashing, have it inspected carefully. It may be a simple repair, or it could be indicative of a much larger, much more serious issues depending on how long the damage has been there and how much water may have gotten in as a result. Sagging parts of a roof are a bad sign as they generally mean structural damage, inadequate spacing, or inadequate bracing. If your roof is sagging, contact a professional as soon as possible. If your roof is displaying any of these signs, contact us at Roofity today!